OSHAWA, Ont. 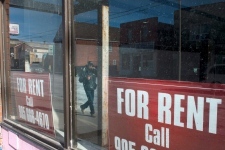 -- Vacant storefronts are a common sight in downtown Oshawa -- even a Tim Hortons closed last year amid complaints about loiterers and drug users. 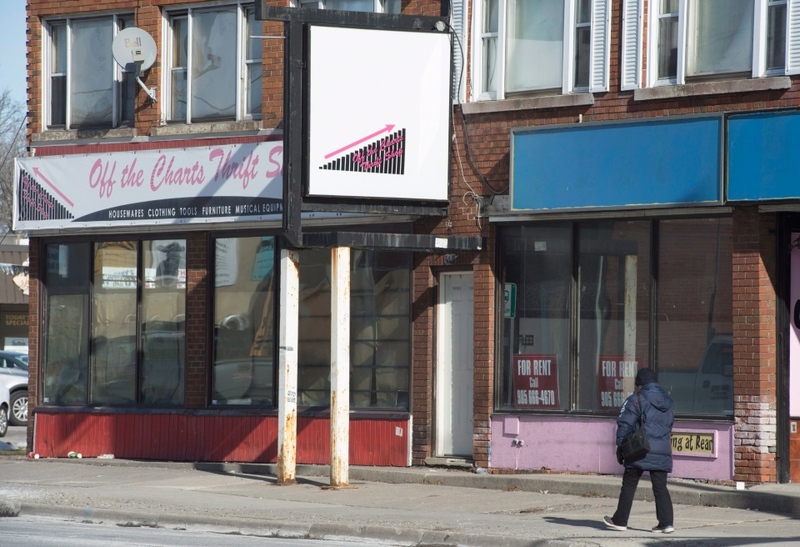 Yet, three shops selling comics, toys and games manage to hang on in this city 60 kilometres from Toronto. Why? As the local joke goes: because Oshawans are just that desperate for an escape from their reality. In extensive polling by EKOS Research and The Canadian Press, Oshawa was the city in Canada home to the highest number of respondents with a pessimistic view of the world -- a view that's in lockstep with the attitudes believed to underpin 21st-century populist forces in play globally. All three federal political parties have spoken out about the potential for the economic and cultural discontent fuelling populist politics to come to roost in Canada. The Liberals use it as a reason to justify their progressive trade agenda; some Conservatives echoed it during their recent leadership race and the New Democrats are hoping to capitalize on leftist populism akin to what Bernie Sanders did in the U.S. But a key theme also running through the anti-establishment sentiment around the world is the sense that no one is listening to the voices of those driving it. EKOS and The Canadian Press sought, through a major poll of 12,604 Canadians, to figure out where they were and what they were saying. The polls measured people's perceptions of their economic outlook, class mobility, ethnic fluency and tolerance. The results were in turn plotted on a spectrum from "open" to "ordered" -- a new way of classifying people's political viewpoints that goes beyond the traditional right-versus-left. The research revealed the complexity of the issue and Oshawa is a reflection. The statistics say it is prospering, at least on paper -- a direct contrast to some of the rusted out parts of the United States that voted Donald Trump. 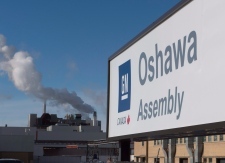 But the poll showed that still, 38 per cent of respondents in Oshawa could be considered "ordered" in their viewpoints, compared to 30 per cent nationally. Ordered Canadians are those with a negative perception of their own economic outlook and prospects for the next generation's, as well as a sense they're not getting ahead. The dramatic scale-back of GM blew a hole in the local economy, said Jon Maschke, 43, who works at one of the local comic shops. In the 1980s, General Motors employed 23,000 people here, and now it's around 3,000. "Unless an employer moves in and hires thousands more people, nothing is going to change," he said. But a look at some of the other elements at play in Oshawa reveal a more nuanced portrait of what could be behind the pessimism. In the EKOS Research/The Canadian Press study, those who overestimated the number of cultural and ethnic minorities or who thought too many immigrants were white were also classified on the "ordered" side of the index. But when Brian Annan, 40, who works with Maschke, considers the question of immigrants in Oshawa, he doesn't target ethnicity or race. He points to a local mosque and notes he sees members out and about in the same shops he visits and the same community events he attends. They are part of the community, he says. "Other people come in and take up our jobs and houses and disrupt our lives," he said. 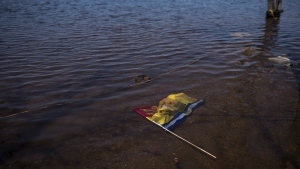 "I don't see any Syrian refugee causing all this grief." The "other people" he's talking about are the commuters. In recent years, Oshawa has seen a massive influx of Torontonians snapping up homes in the city thanks to lower housing prices, improved public transit and better highways that make the city more of a viable commuter option. The city's population grew by 6.6 per cent between 2011 and 2016, according to the most recent census, with migration from within Ontario the largest driving force. 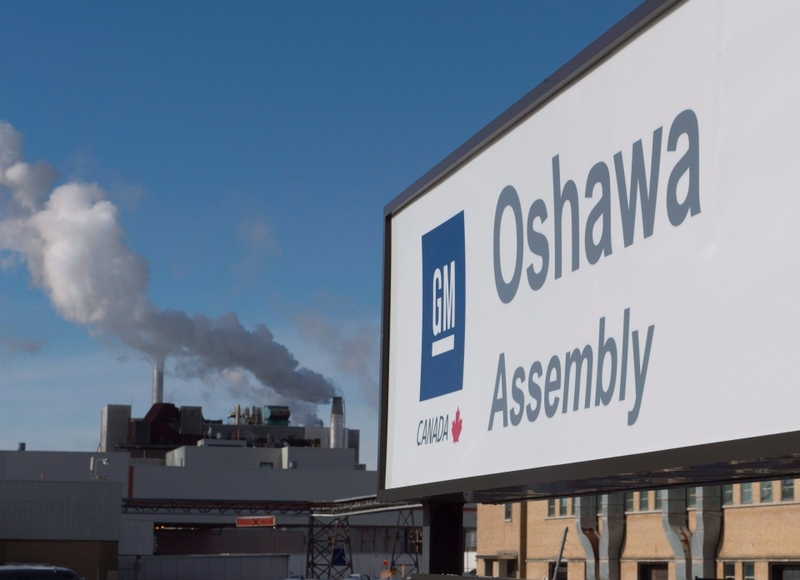 The best sign of the impact they've had on Oshawa might be an actual sign: the home of the popular minor hockey team used to be called General Motors Centre. But the company didn't want to pay for the rights anymore so in 2016, it became Tributes Communities Centre -- the name belonging a home building company in the area. Elaine Stewart's son is one of the Toronto commuters. She moved to Oshawa with his family because of the cost of living. While the 73-year-old finds the city far more welcoming than Toronto, as she watches her son make the trek each day, she worries about the toll it takes as expenses just keep going up. This year for Christmas, all he asked for was money to help with groceries, she said. "I worry they aren't going to be able to have a house or any kind of security," Stewart says after a game of bingo at a popular local seniors' centre. "I don't see how they are going to have anything to call their own." While "ordered" voters may have propelled sweeping political change elsewhere in the world, it's unclear where the malaise in Oshawa is heading. For two decades, the riding's MP was Ed Broadbent, the former head of the New Democrats. He reigned during the final years of the auto industry's grip on the town; local union officials still have his pins in their offices. When he left politics in 1989, he was replaced in a riding by a Liberal -- the first time a Grit had held the seat in nearly 50 years. But in 2004, Conservative Colin Carrie eked out a victory and he's been the MP ever since. Broadbent points out that in recent years, the riding hasn't been a lock for any of the three parties. The political system has so far addressed the concerns of voters, but it's a ticking clock, he suggested, because inequality hasn't improved. "We could still head into the kind of politics of resentment that have characterized other western democracies because it's absolutely crucial in a democracy that those who are feeling some sense of injustice have a perception that their leaders are trying to deal with it." A recent study by the Durham Region Health Department shows that disparity in Oshawa. 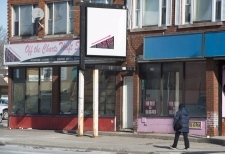 In the city's Lakeview neighbourhood on the shores of Lake Ontario, 38 per cent of children under the age of six live in low income households. The number drops to 9.8 per cent in the city's northwest, where most of the new home construction is taking place, an area nicknamed "Poshawa." 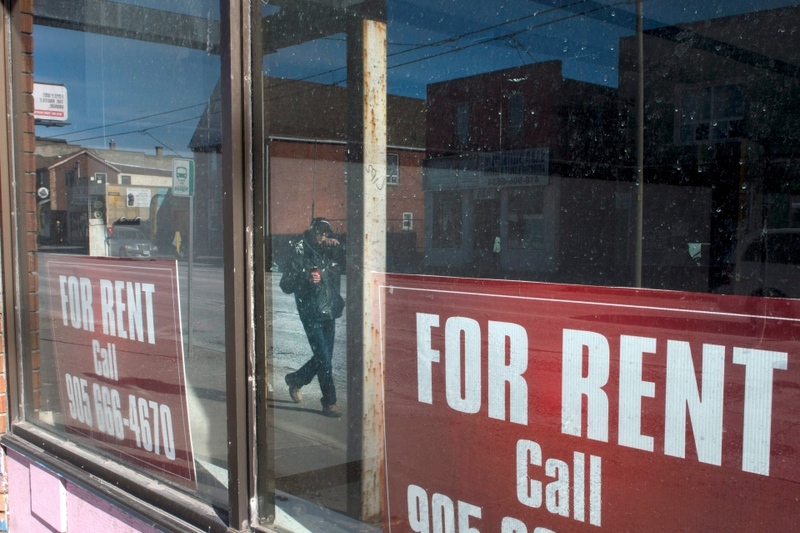 It's the development in the north end of the city that fuels much of the optimism in Oshawa. While over a third of Oshawans have a bleak perspective, 45 per cent fall into the 'open' category of the EKOS Research/The Canadian Press study -- defined as being future-oriented and welcoming change. In 2015, the median income of households was $85,697 -- the highest in Ontario. Around 29,800 net new jobs have been created there since 2011, including 18,000 in 2016, according to data compiled by the Conference Board, which projects its economy among the fastest growing in the province. The growth is driven not just by the housing boom, but also the rapid expansion of the city's post-secondary education market and health sciences sector. When she first moved to the area 14 years ago, it was homogenous to the extreme, said Monica Swarek, 57, who works at the local library. Now there are local restaurants and events with a far more diverse flavour, she said. "It was too white bread, too dull," she said. "I think there's been a lot of positive change, generally speaking." In 2011, the visible minority population of the city was 9.3 per cent. In 2016, it was 16 per cent. The jobs being created by the expansion of universities and the health sector are giving the community as a whole a boost, said local businessman Lorn Scanlon, 51. If people want change in the city, they have to drive it themselves, he said. The reason he opened the Cork and Bean was to finally be able to get a good cappuccino and set up a place that would lure commuters to spend their time and money in the city itself. "People from Oshawa are their own worst enemy, constantly talking down the city," Scanlon said. "We have high family incomes and yet looked at as poor and that's never made sense to me." 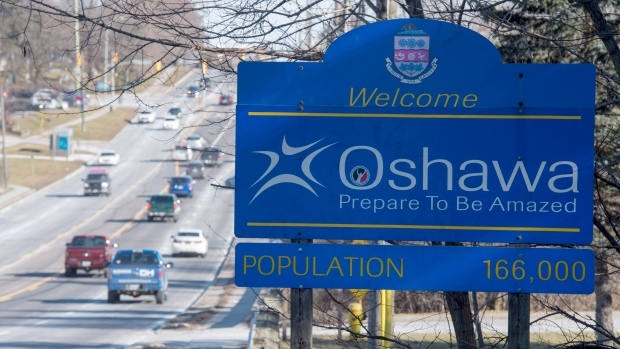 Of the remainder captured in the survey by EKOS and The Canadian Press, 17 per cent of Oshawa's population isn't certain about the world, earning the definition of having a "mixed" outlook. Count Johnny Milosh among them. The 64-year-old has run a popular diner for two decades. Back when union jobs were a dime a dozen, kids flush with cash used to crowd into his booths. Now it's mainly retirees, and he said he wonders what will happen when their population dwindles. He's concerned about the growing disparity between the north and south ends of the city as well, and questions whether the local government is on top of it. "We should be sitting pretty," he says in between high-fiving his regulars stopping by for breakfast on a frigid winter morning. "All this city needs is a plan."